Digging too deep for family skeletons proves perilous for a young woman searching for her disappeared father. 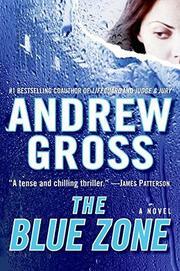 Gross’s solo debut (he’s previously collaborated with James Patterson; 2nd Chance, 2004, etc.) has a beguiling setup rooted in the clandestine mechanics of the Witness Protection Program, but its implausible plot will put off more skeptical readers. The book’s likable hero is Kate Raab, a cancer researcher launching a promising career. While she also has a model boyfriend, a seemingly perfect doctor, her most discernible asset is a picture-perfect family comprised of her anxious Jewish mother, a pair of precocious siblings and a princely father who calls her “Pumpkin.” It all comes crashing down when her father Benjamin, a wealthy Manhattan gold trader, is arrested for laundering money for a Colombia drug cartel led by Oscar Mercado. Benjamin cooperates with the case, and the family is secreted away under assumed identities, leaving Kate behind. Things go further awry when a colleague of Kate’s is felled during an inexplicable drive-by shooting and the Rabb family’s case worker is tortured to death. The slim leads in the case point towards Benjamin, who disappears into the titular Blue Zone, the FBI moniker indicating a blown cover. Soon, Kate is stalked by a menacing Colombia fixer and uncovers troubling duplicity on the part of her FBI handlers. With the body count rising, Kate hunts for her missing father, inadvertently unspooling a series of preposterous family revelations linking her loved ones to the Mercado clan. A sensationalistic thriller whose credibility is, by the end, strained to the snapping point.